The Christmas Fair on the port has all sorts of food that isn't typically French. Actually I don't know what a churro is either! Jilly, churros are very popular in Spain. You can eat this fried 'fingers' even for breakfast, with thick hot chocolat. I ate them a few times when I am in Spain. Also as breakfast. Churros con chocolate! Very popular here and, as Robert pointed out, part of our Spanish heritage. Best when the chocolate is thick and warm. Most people will drink up the remaining chocolate too. Your neighbour country Spain has it. 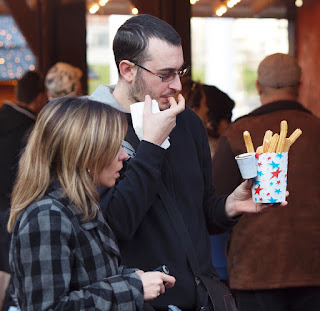 It is a bit like our fried potatoes in a paperbag. Every country has his own snack to eat in the street I suppose. Very popular in central Spain, not so much here. Delicious, very sweet, deep-fried. Oh they sound divine. I'm loving the cute little cup attached for the chocolat! 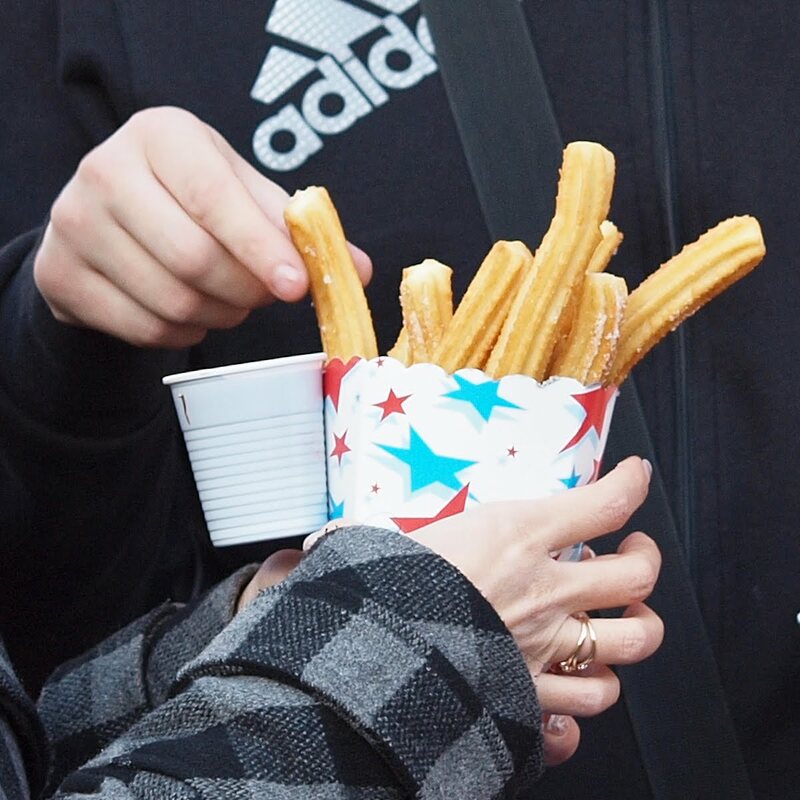 The rest of the world misses out if churros are not part of their sinful pleasures. One of the things I really, really miss from Mexico! !